Learn how to plan, lay out and construct your own home garden. Whether you want a garden which you can work in, play in or simply look at and feel proud of then this course is for you! This course is designed to teach you how to design (or renovate) a home garden; and then, to maintain it. It aims above all to develop a solid understanding of the principles and procedures underlying the design and development of garden areas. The course is relevant to both small and large landscapes, equally of value in developing a new home garden, or improving an existing one. Though consideration is given to both design and construction, the emphasis in this subject is on landscape design. Each one of the ten assignments will require written answers to set questions (sometimes drawings), plus a series of plant reviews. Learning about plants in the context of their landscape use is so very important to developing any garden. Choosing the wrong plants or using them in an inappropriate way can create structural and maintenance problems; not to mention detract from the overall aesthetic of the garden. Develop a solid understanding of the principles and procedures underlying the design and development of garden areas. Relevant to both small and large landscapes, equally of value in developing a new home garden, or improving an existing one. An emphasis on landscape design with consideration also to construction. 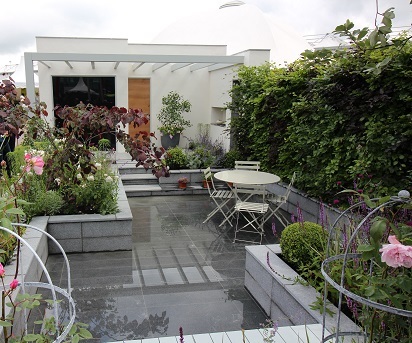 Designing Gardens - the basics of design concepts through to understanding how to use them. Styles of Gardens - formal, informal, natural, and other themes. Drawing Plans ‑Designing Gardens - learn how to draw basic landscape features and garden designs. Understanding Soils - clay, loam, sand - how to identify them and treat them for better plant growth. Basic Landscape Construction - what is involved to build basic structures like steps, walls, paths, etc. Weeds & Pests - how to identify and treat garden weeds and pests. Planting and Pruning - techniques to plant, prune and care for garden plants. Garden Features - how to select and use garden features in a landscape.